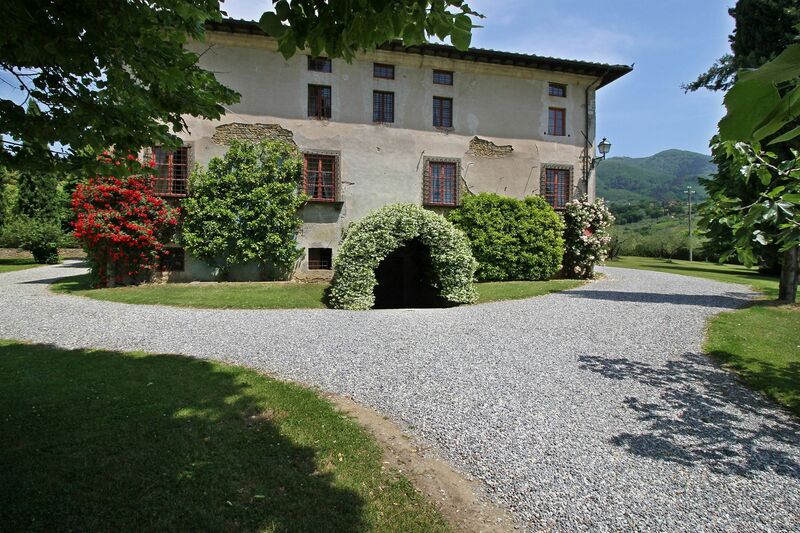 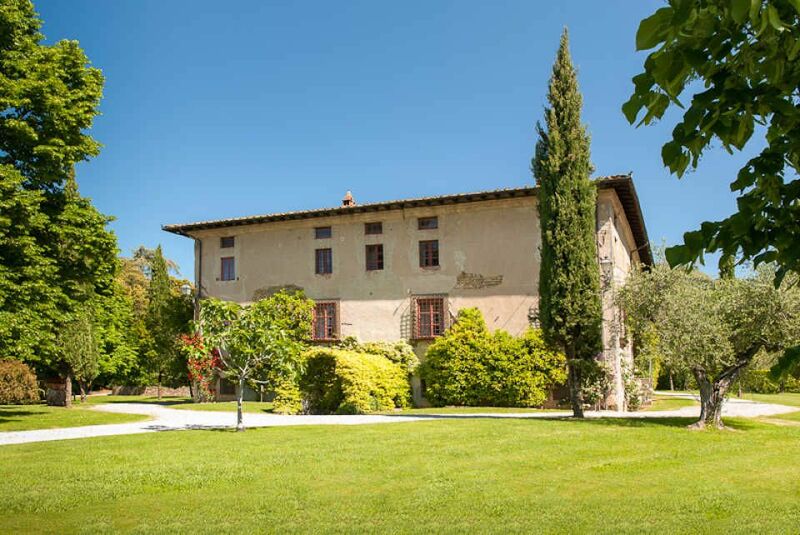 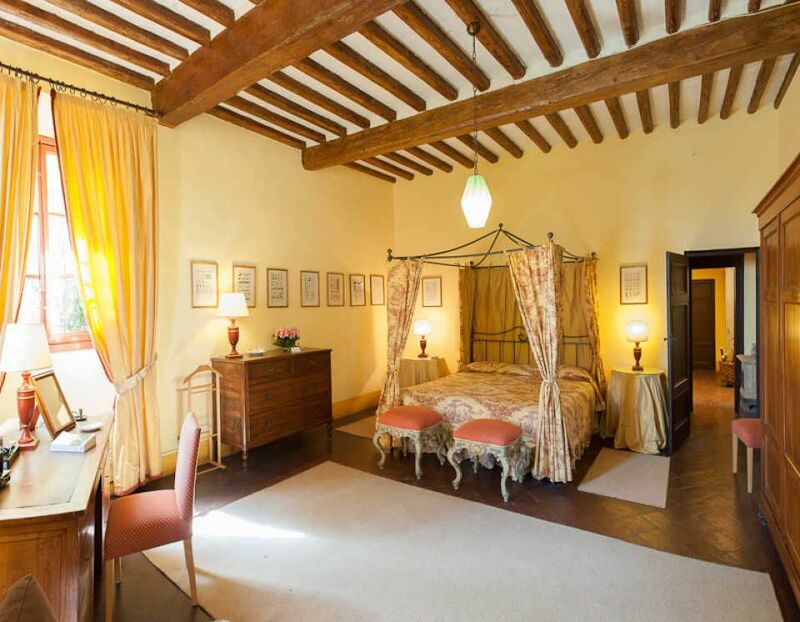 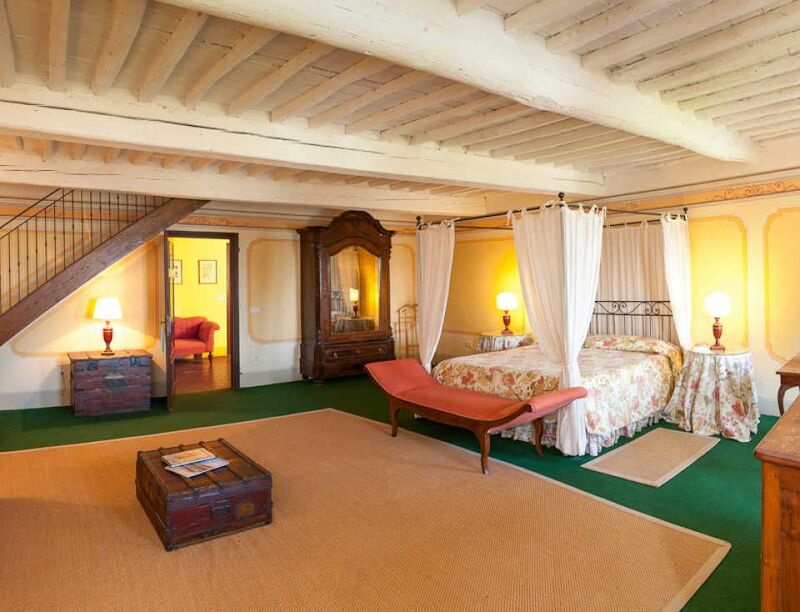 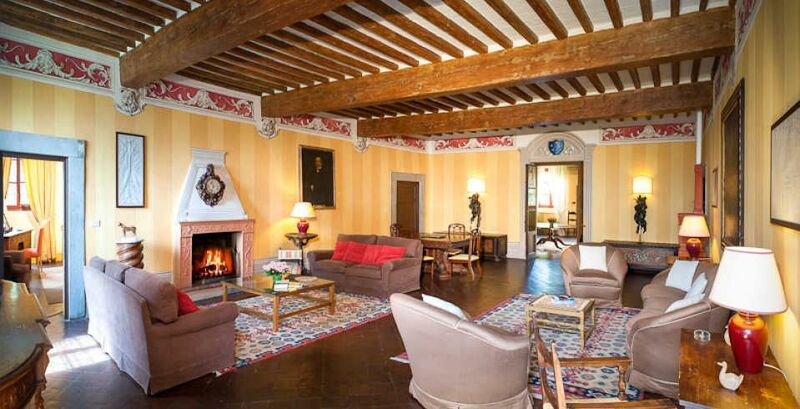 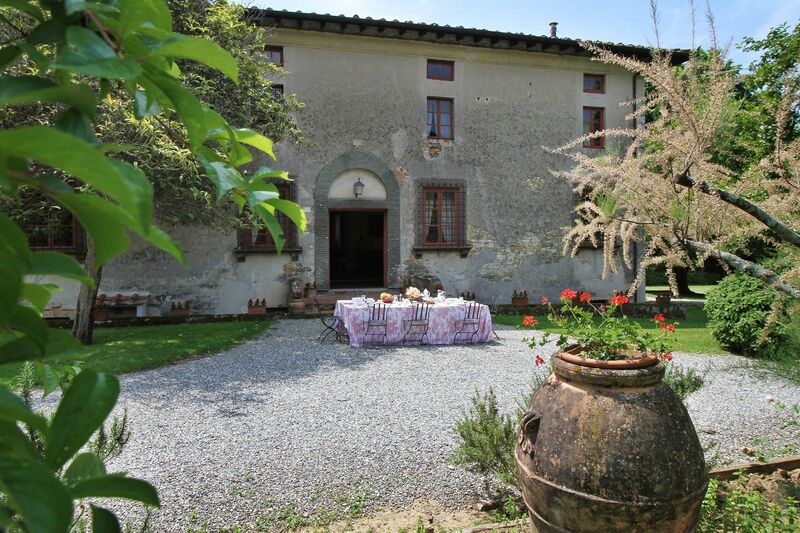 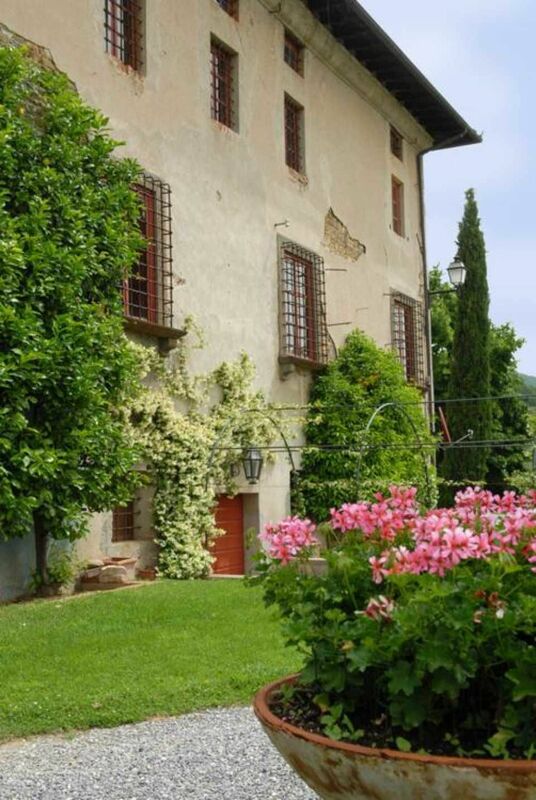 A splendid 16th century villa, originally belonging to the Buonvisi family and it is part of a famous Lucchese country estate. 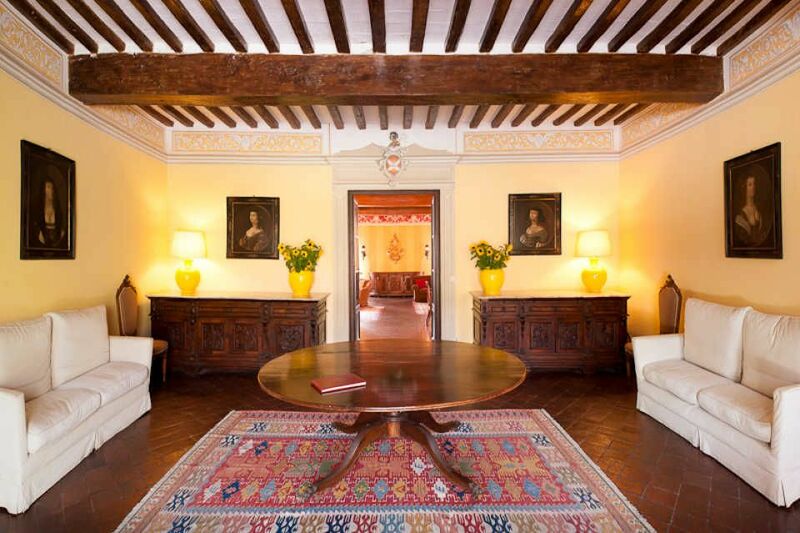 In recent years, restoration work has been done, without detracting from the original character of the house. 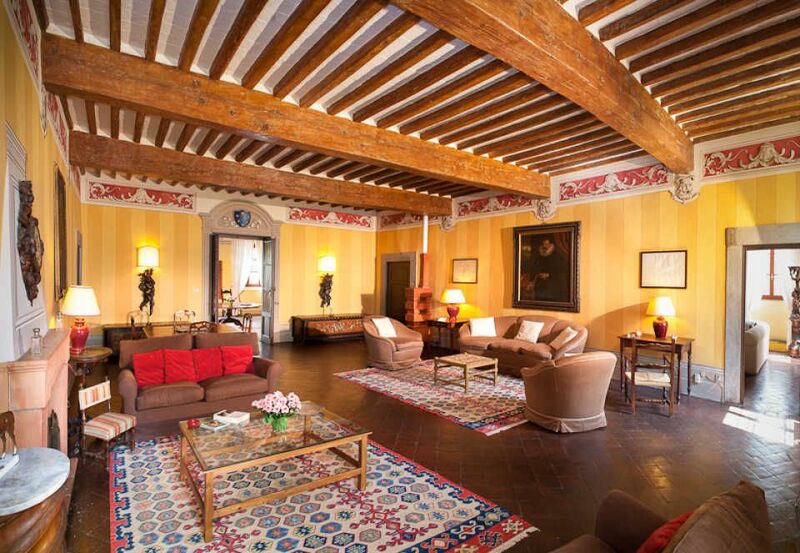 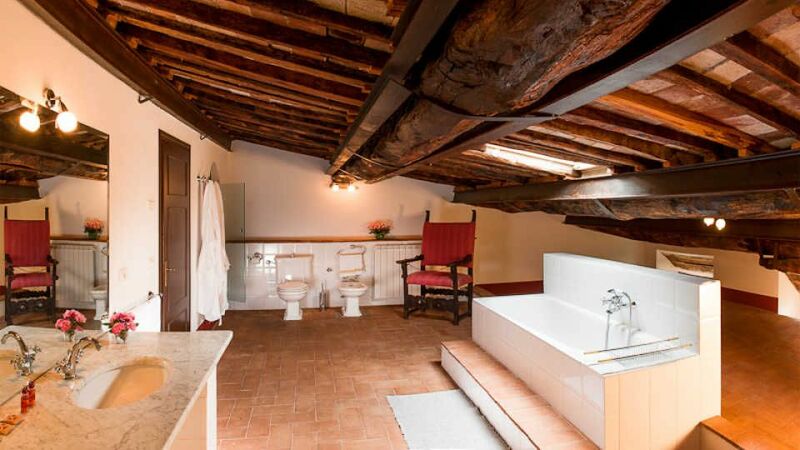 The ancient cotto floors, beamed ceilings and old fireplaces have all been preserved. 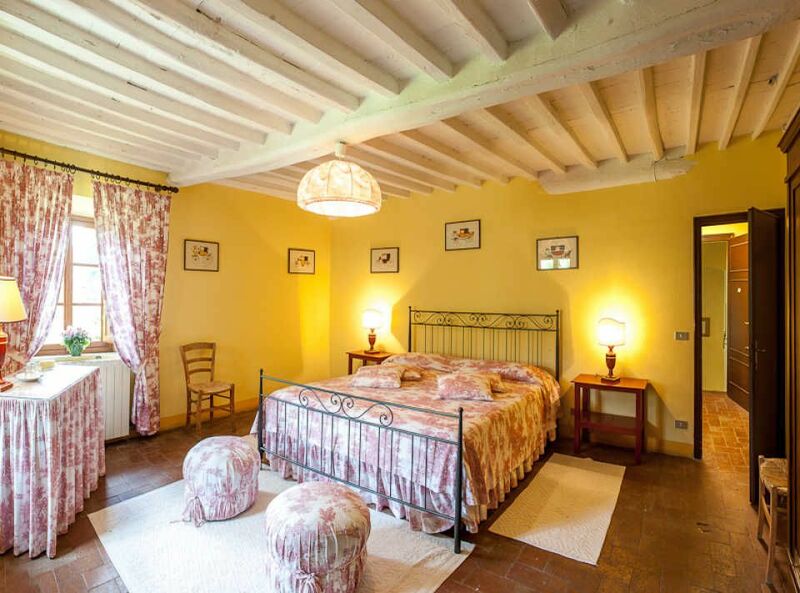 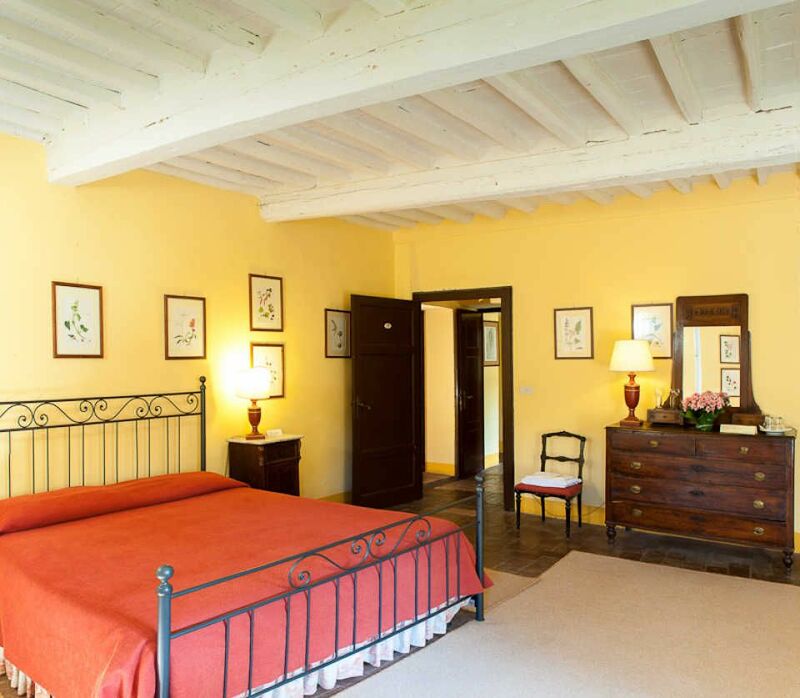 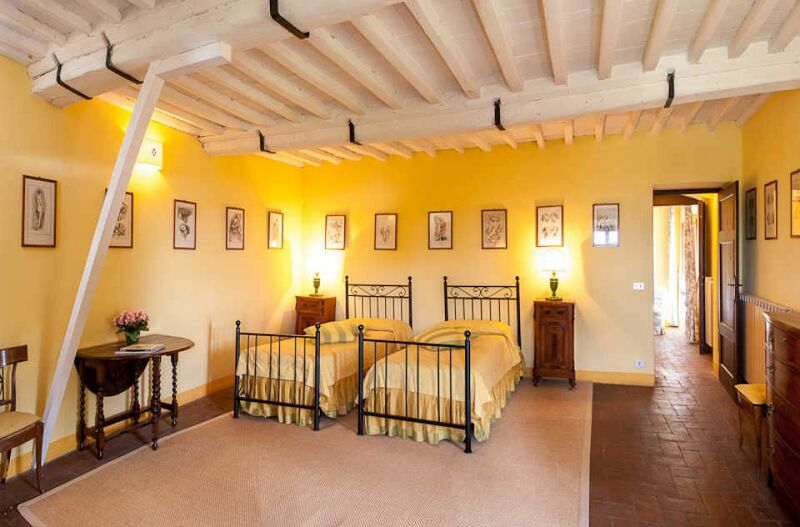 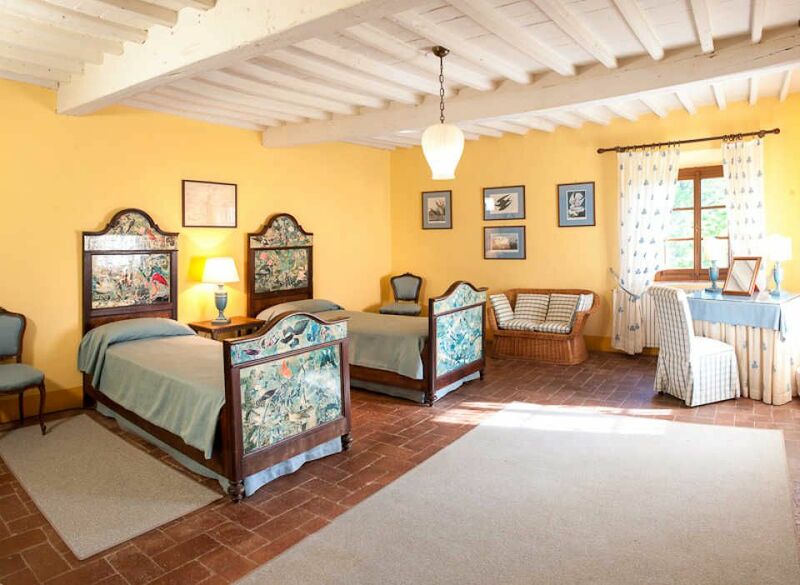 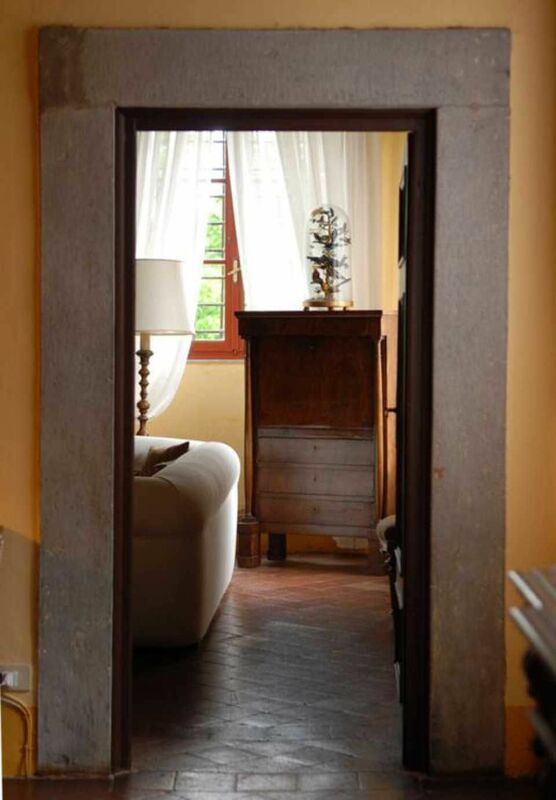 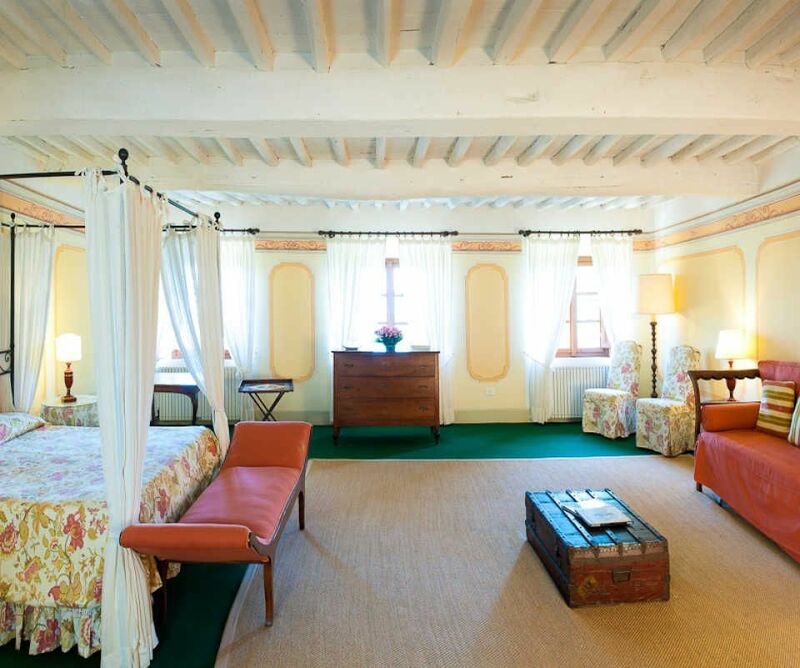 The rooms are spacious and very light and tastefully furnished with antiques. 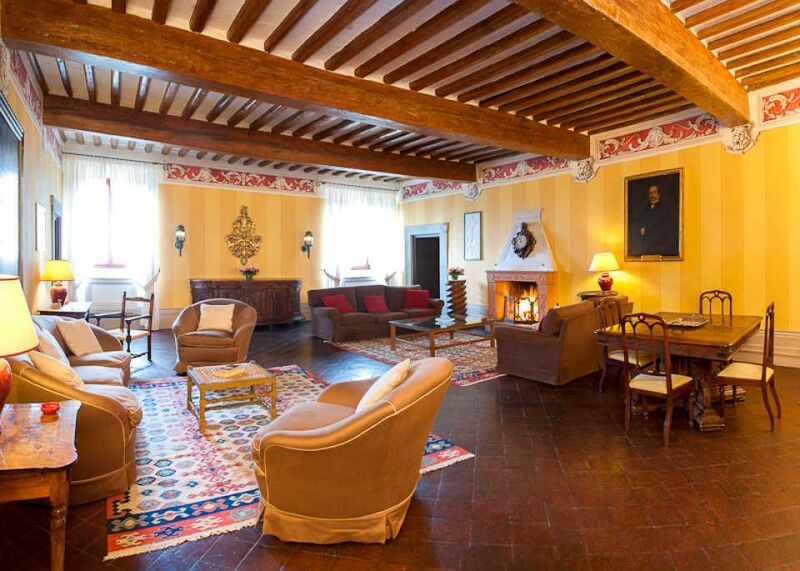 In the huge kitchen, there is a beautiful big fireplace, thus making Buonvisi suitable and comfortable also for winter holidays. 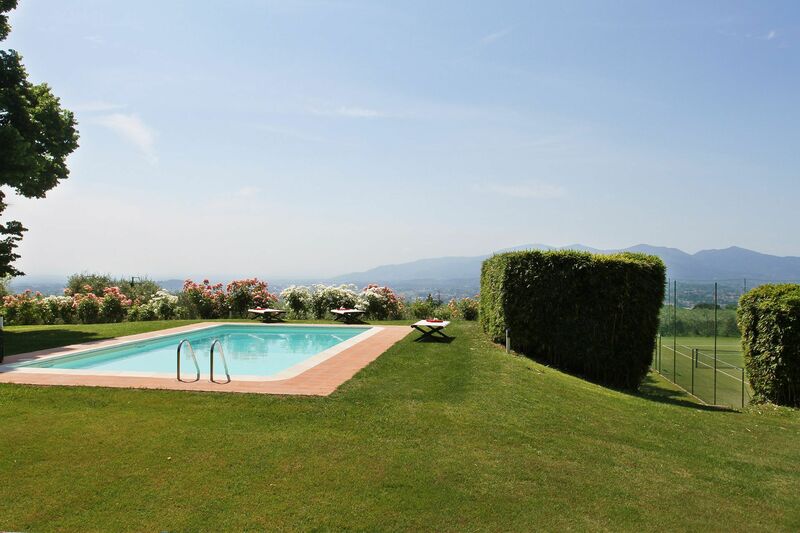 The property also has a particularly large, flat garden on three sides of the villa, with several shaded areas. 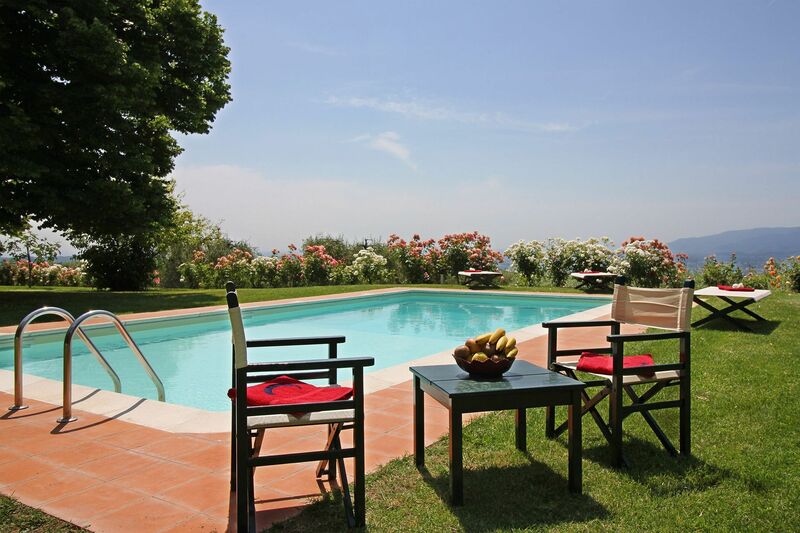 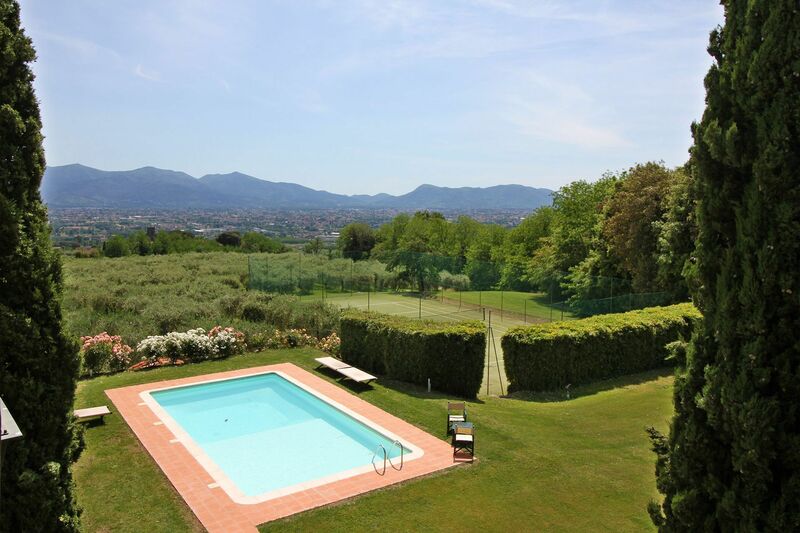 To the front of the villa there is the swimming pool with views over the plain of Lucca below. 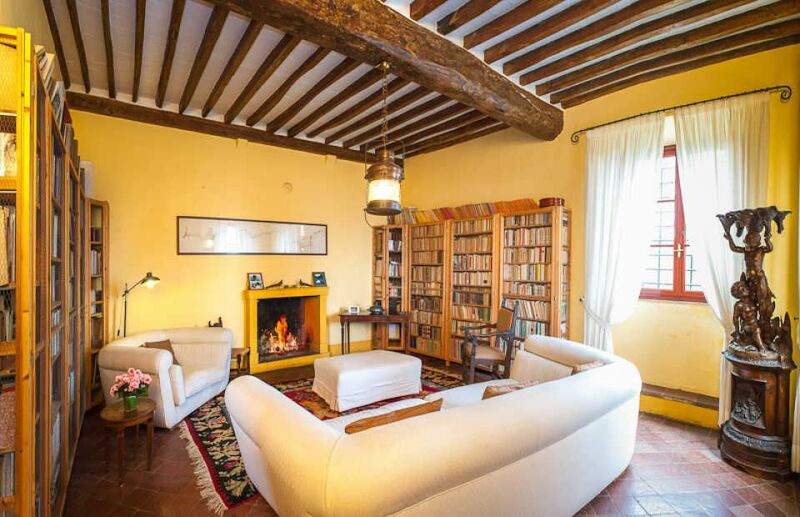 The house benefits from having satellite TV, DVD and hi-fi system. 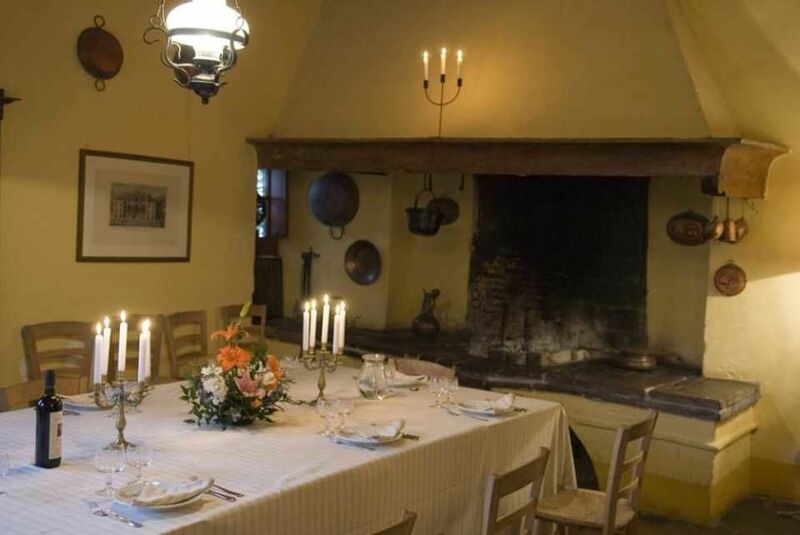 ACCOMMODATION COMPRISES: Ground Floor: Entrance; large kitchen with fireplace; sitting room with fireplace, library with fireplace, double bedroom with bathroom en-suite. 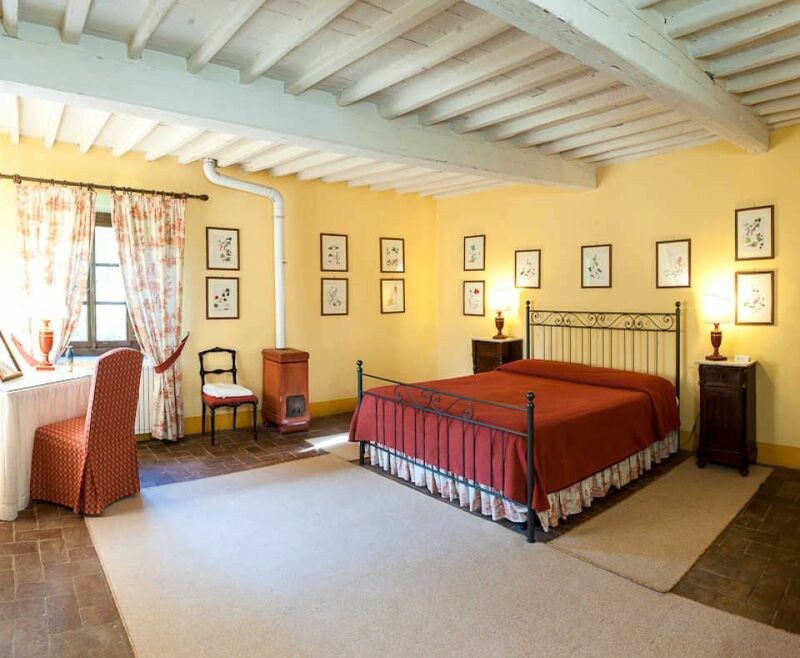 First Floor: 2 twin bedrooms with bathroom en-suite and 4 double bedrooms with bathroom en-suite; laundry room. 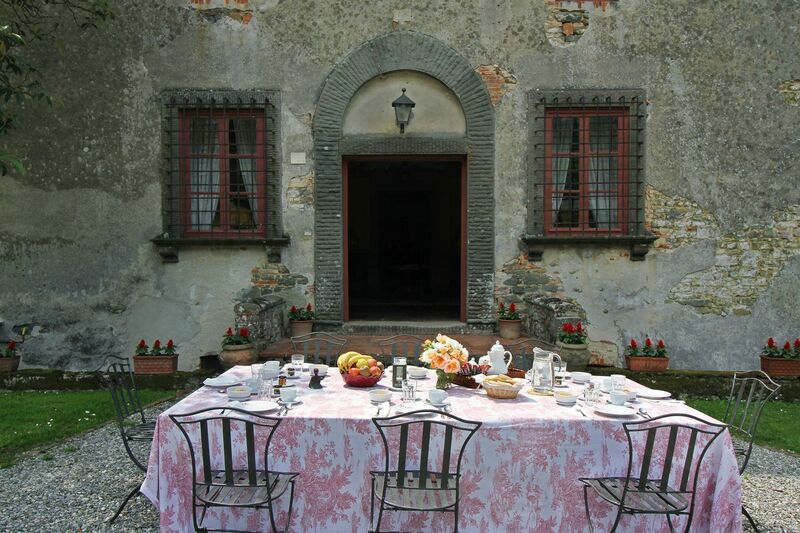 The maid who takes care of the villa is also an excellent cook and on request will cook local dishes for clients. 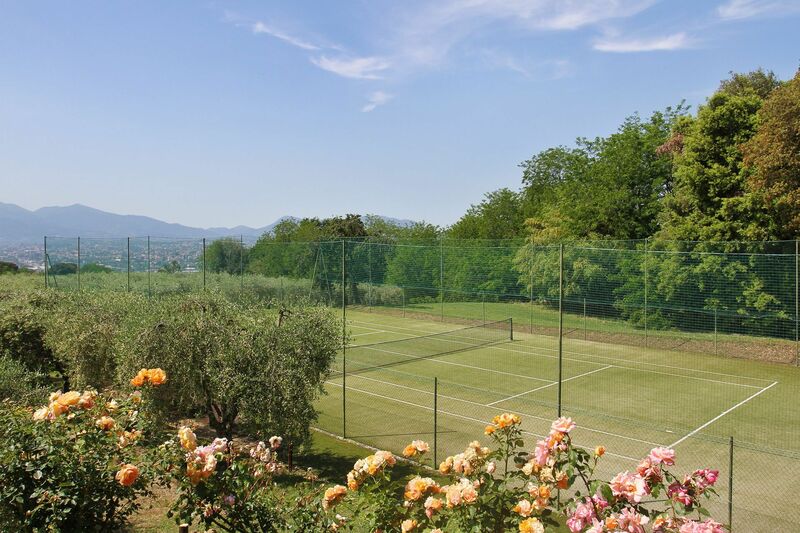 A tennis court is available on the estate. 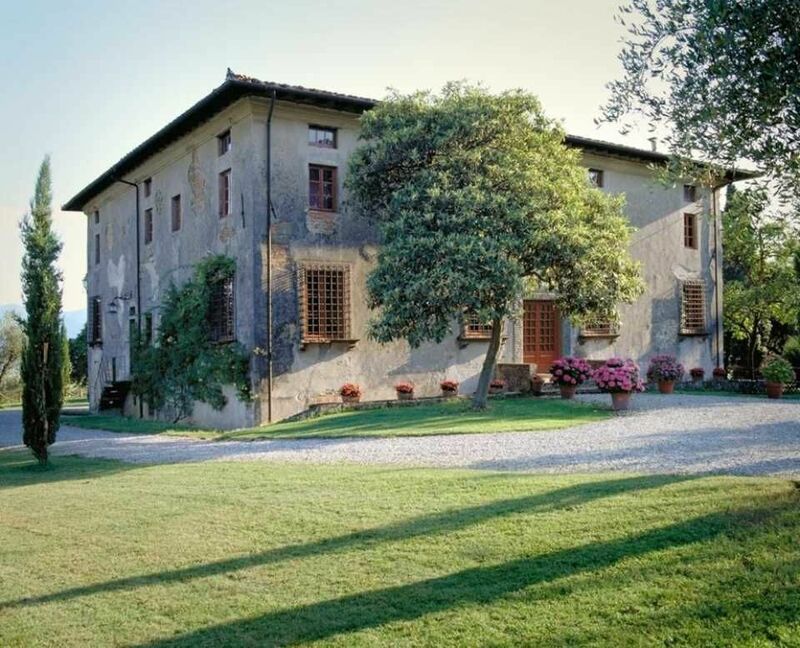 There is a reception office on the estate with English speaking staff who are at your disposal should you need any assistance during your stay. 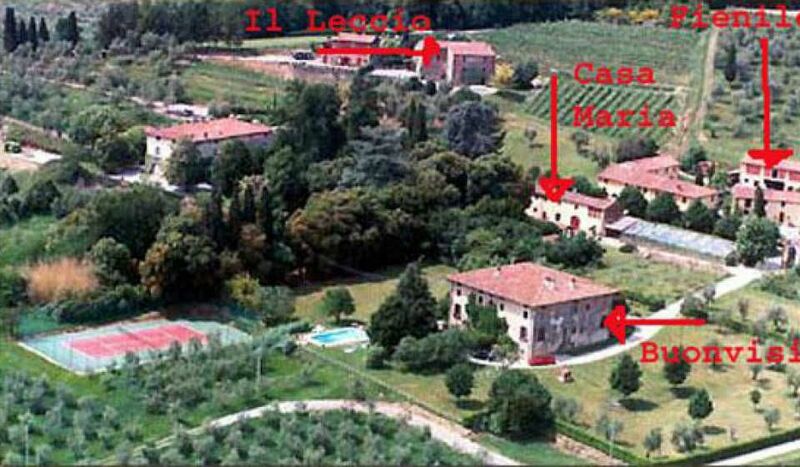 Please note the wifi is at the reception office of the estate.